Yes, that title should sound familiar to you. That’s because George Harrison had a huge hit with this tune in 1987. “I Got My Mind Set On You” was featured on his otherwise lackluster release Cloud Nine. Considering the popularity of the Harrison version it’s remarkable that so few people are aware that it’s actually a cover. 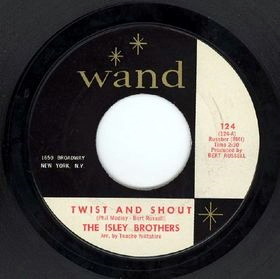 The song was written by Rudy Clark and recorded by James Ray in 1962. No doubt, it’s a great song through and through. Whether you like the Harrison rendition or the original it’s a classic. As enjoyable as that 1987 attempt was, I was floored when I first heard James Ray’s original. It’s just so raw and authentic, especially when compared to Harrison’s version. For me, this was the way the song was intended. The arrangement is so natural feeling that I almost can’t imagine it any other way. How Ray never had his own hit with song remains a mystery to me. I just found this old video of The Miracles from 1967. At this point they were just billed as The Miracles. It wasn’t until later, that Smokey’s named was brought to the fore. Despite The Miracles being Motown’s first really successful group, Berry Gordy decided it was clever marketing to lead with Smokey’s name. After all, he was one of the biggest songwriters and producers in the business. 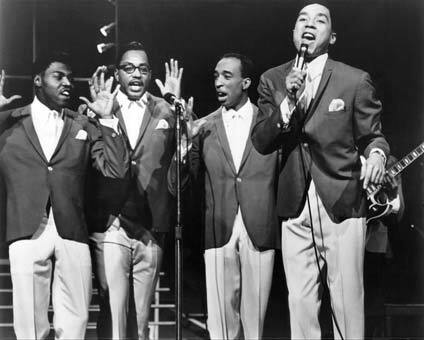 In their almost 20 years, The Miracles charted over 50 hits, 26 of which reached the top ten. Not to mention that Smokey has written and/or produced countless other hits for Motown. I’m not exactly sure where this footage is from, but it’s a great little medley of two early 60’s classics, “(Come ‘Round Here) I’m The One You Need” and “More Love”. Whether you’re a Motown fan or not, it’s hard to deny that this was truly a great era in music. While we’re checking out some vintage Smokey, here are just a few more. The first is “You Really Got A Hold On Me”. While the second is “I Second That Emotion” …and in color no less! Take a look at these dance routines. They’re where it’s at, no? This is a great video of Aretha Franklin performing “I Say A Little Prayer”. It was originally released on her 1968 album Aretha Now, but I like this live version from 1970 better. Actually, it’s a Burt Bacharach tune that was written for Dionne Warwick, who recorded it in 1967. Her version is also very good, but Aretha is the best. Young-Holt Unlimited. It’s probably one of the worst band names EVER. Fortunately for these guys, they can really play. Chicago based, they were a late 60’s Soul/Jazz Instrumental group. Drummer Isaac “Red” Holt and bassist Eldee Young, formerly members of Ramsey Lewis’ jazz trio broke off to do their own thing in 1966. The first incarnation of their group was called The Young-Holt Trio. It’s not exactly original but it’s got a nicer ring to it than Unlimited. In 1968 they replaced pianist Don Walker with Ken Chaney, at which point they changed the name… I’m still confused about this name. Names aside, they are a solid band. “Soulful Strut” was their biggest hit, reaching #3, but they had other minor hits along the way. 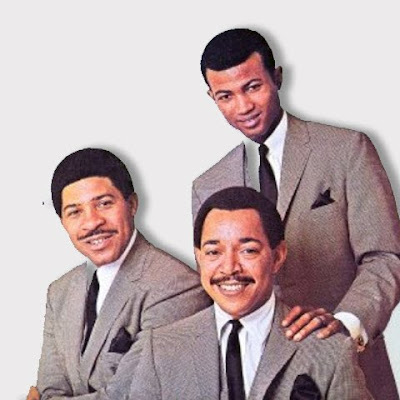 Many of their albums include soul jazz covers of some classics that were relatively well received back in their heyday. First check out “Soulful Strut” and then I have a few of their covers I’m fond of. Oddly enough, “Soulful Strut” is actually the backing instrumental to another less popular song, “Am I the Same Girl”. Recorded by Barbara Ackerly, the wife of the songs writer Eugene Record, it was recorded in early 1968 but was shelved by the label. 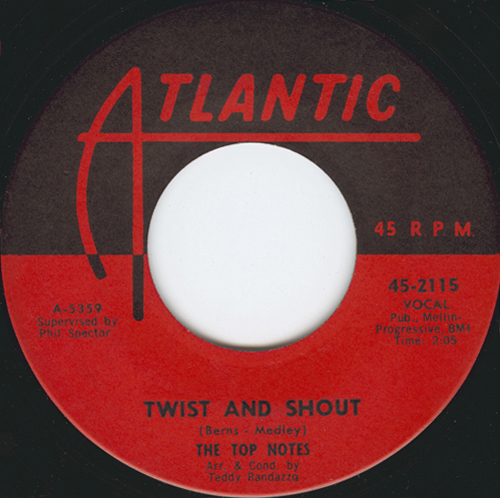 Shortly thereafter, the producer Carl Davis removed her voice from the track, replaced it with a piano solo by Floyd Morris, and released the resulting track in November 1968 as “Soulful Strut”. Although credited to Young-Holt Unlimited, neither Young nor Holt are believed to have played on the recorded track. The instrumental is simply credited to the Brunswick Studio Band. which could include Red and Eldee, but it’s not likely. It sounds like some pretty fishy stuff, but it is confirmed that these they went on to perform the song for many years after it’s release. 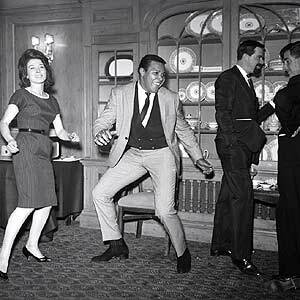 Two songs I have featured on GG before are Bobby Hebb’s “Sunny” and The Stylistics “People Make The World Go Around”. Both at GREAT tunes that get a lot of attention in the Soul/R&B community. Cover versions are abound so these two versions don’t exactly rank at the top of all that are available but I like these. The cool thing about these guys is that they have a very distinct sound in their playing. Although it’s very much of it’s time, it is very stylized, which plays to their Jazz roots. “Grazing In The Grass” is a very cool (and yet little known) tune from 1968. Originally recorded by South African trumpet Master Hugh Masekela, it is an all instrumental soul groove that sounds more jazz inspired R&B than afro-pop. It’s full of great horn lines and A LOT of cowbell. Masekela is a pop legend both at home and here in the States. “Grazing In The Grass” was probably his most popular tune, selling over 4 million copies to date. Later in his career, he also had a hit with a song dedicated to Nelson Mandela’s release from prison called “Bring Him Home”. 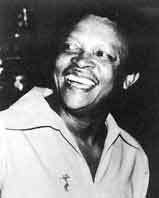 Even in his early days, Masekela was a go-to “world music” collaborator for everyone from Paul Simon to The Byrds, as well as numerous jazz ensembles. That aside, this is easily my favorite of all his work. There are many covers of this song but only one that stands out to me. And, it comes with a cool back story. It’s from Eivets Rednow’s 1968 release Alfie, which was an all instrumental album inspired by the works of Burt Bacharach and Hal David (most notably their hit score “Alfie”, hence the title). What is not commonly known is that this is actually an early Stevie Wonder album. If you look again at the artist, you will see that it is Wonder’s name spelled backwards. It was released without much promotion on a Motown subsidiary called Gordy Records because Berry Gordy and the rest of the Motown machine were still establishing Stevie as a soul/pop shouter on their more popular label. As not to confuse their audience, it was practically released in secret. Funny enough, there is almost no hint as to who the real artist is except for a tiny little note on the top corner of the album spine saying, “How do you spell Stevie Wonder backwards”. The album is mediocre at best, in the scope of Wonder’s catalog but it’s a very cool one to own for die-hard collectors. Stevie plays harmonica, piano, clavinet and is accompanied by Motown greats Benny Benjamin on drums and James Jamerson on bass. For me, that’s the best part… it’s this little known, under-the-radar snapshot of these guys just playing and having fun in the studio. In 1962, one of the songwriters, Bert Berns, sought out to revive what he knew was a great song. He thought that Spector and The Top Notes simply didn’t do it justice, missing the feel completely. Berns decided to produce the version he intended with the help of ever popular soul group The Isley Brothers, which went on to reach #17 in the Billboard Hot 100 and was #2 on the R&B charts. Ultimately, the version that forever lives on as the most popular and recognizable is that of The Beatles. Recorded in 1964 for their debut album Please Please Me, it reached #2 in the charts just a month after the release. Remarkably, that same week each of the top 5 songs were all Beatles tracks. It’s an amazing moment that truly reflected the magnitude and impact of the Beatlemania phenomenon that was sweeping the world. Interestingly, producer George Martin saved this song for the final 15 minutes of the recording session as an attempt to salvage what was left of John’s vocal chords. Lennon’s voice was suffering through the entire 10 hour recording period. Knowing it would take every last bit of energy to get it right, Martin fed it to him with just minutes to spare. John absolutely killed it on the first take. It sounds as though he gives every bit of heart and soul he could muster. Which, was very fortunate because he later admitted that he couldn’t sing for days afterward so even if they wanted a second take, he never could have done it. This 1963 live performance (below) from the Royal Variety Show is a great example of the tune. All the lads sound great but John’s lead is fantastic, as if he was born for it. There are plenty of other covers out there. Of them, there are only a few that are worth mentioning. One of which is THIS ONE from The Who. And, probably THIS ONE from Bruce Springsteen. If you look hard enough you can also find versions by The Tremeloes, The Shangri La’s, The Mamas and The Papas, Salt + Peppa, many, many more (including Celine Dion) but compared to The Beatles there is no point in even bothering with them. Now, there is also an American version that was produced after it had achieved so much success in Europe. All the lyrics are in English on this one. I typically don’t care for alternate langauge versions because most languages have a very specific cadence that often doesn’t translate. But, this one made me curious because I was really interested to hear these lyrics about a girl who is obsessing over Paul. Curious? PS- The English version is called “7am”.